Before becoming the Director for the Luxury Homes Division for Keller Williams Santa Barbara, I was a member of Coldwell Banker's Presidents Circle, placing me among the top 10% of all sales associates Internationally. I hold a Bachelor of Arts in Political Science from UCSB and Associate of Arts in Real Estate, Law & Society, Liberal Arts, & Political Science. I went back to UCSB for post graduate work for 2 years to earn my Professional Financial Planner credential. As the Real Estate market here in Santa Barbara and the surrounding areas continue to fluctuate, I find myself in the unique position of being able to assist my clients with their financial goals and point them in the right direction for their financial needs. I am a third generation Realtor and was mentored in Real Estate by my grandparents who, as successful brokers for over 35 years, prior to their retirement, taught me the importance of customer service, education, professionalism, loyalty and above all else, honesty. I have brought these traits to each of my transactions. I treat each and every transaction as though it were my own personal investment, keeping my client's best interests as my primary consideration. One of my unique specialties has become the ability to sell homes off of Open Houses. Last year alone, I sold 6 homes directly off of open houses. This may sound like a small feat, until you realize that the majority of Realtors will go their entire careers and be lucky to sell one home in such a fashion. As a highly decorated disabled Persian Gulf War Veteran, I bring my unique can do attitude to the Santa Barbara Real Estate Market. I believe that there is nothing that can't be accomplished if you put your mind to it. Having spent five years in the military being responsible for 36 men and billions of dollars worth of weaponry, I gained both the mindset and experience in dealing with problem situations in a professional manner. The more difficult the situation or transaction, the bigger the reward. My desire to go above and beyond for my clients comes from my belief that the best business you will ever receive comes from referrals. I treat each and everyone one of my clients with the utmost respect. Allow me the opportunity to prove to you what my past and present clients already know. Perfection is an attribute that I strive for in all my endeavors and I always enjoy a challenge. With each of my listings, I design my own website, web-commercials, send out 1000 invitations for each open house, email invitations to a database of 2,000 former and active clientele and distribute flyers to the neighbors prior to each open house. Additionally, I advertise in local magazines and newspapers, as well as National magazines. I believe in the importance of continual training and education and do this on a daily basis. It is extremely important to keep up on technological trends in order to stay ahead of the competition. Don't just hire a company, hire a person. Real Estate is a personal service business. Expect knowledge and skill from the Realtor that you hire in the areas of property value, marketing, negotiating, asset protection and financing. Select a Realtor with a track record of producing results. Buying or selling a home should not be left to chance and is not something that you "just let a friend try." Your realtor must have the utmost professionalism and be willing to be honest with you 100 % of the time. Trust the selling or buying of your home only to a professional. Accept nothing less than excellence. Whether you are looking to buy or sell a home, or investment property, I promise results for you and communication along the way. I invite you to call me to explore how I may assist you. "Jon Mahoney came to us after our house had been listed for a year by another agent without result. He made a really good presentation and convinced us to let him market our house. Jon helped us get the house ready for sale, and he found us a buyer only 2 weeks after we listed. He really is a "Full Service" as he claimed to be. Jon put on his jeans and really worked when we needed help with preparing the house, and when we moved. When there was a serious delay in the escrow process, Jon went to bat for us and got the deal closed in time so we could go on a long-planned trip. Words can't express our appreciation for all that he did for us, we now count Jon among our circle of friends. 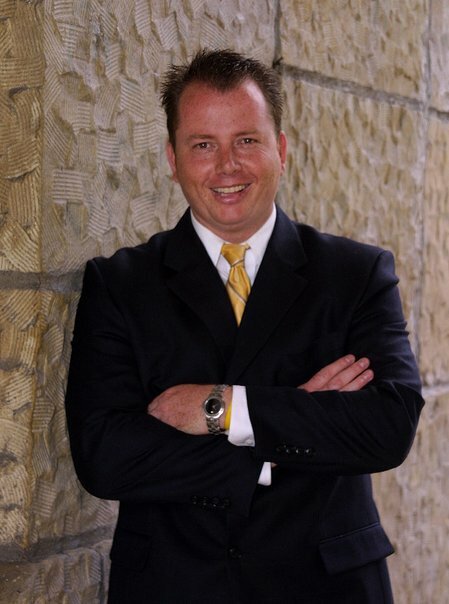 We heartily recommend Jon Mahoney to anyone who has a luxury home for sale!"